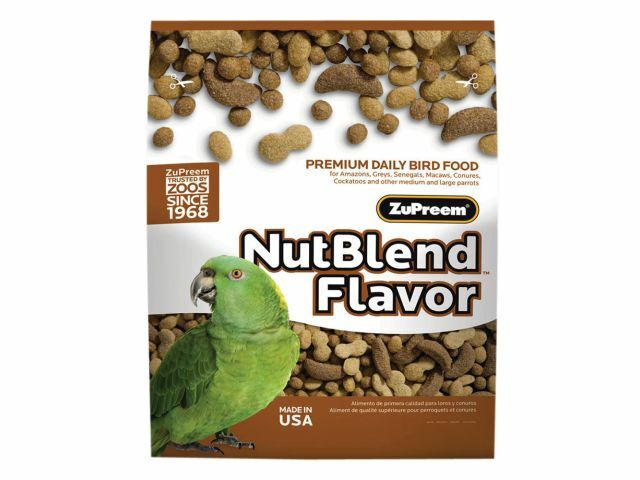 Nut Blend with Natural NutFlavor Premium Daily Bird Food provides healthy and balanced nutrition for Conures, Amazons, Greys, Pionus, Caiques, Senegals and any other medium to large parrots that prefer this nugget size. Nutritionally complete. 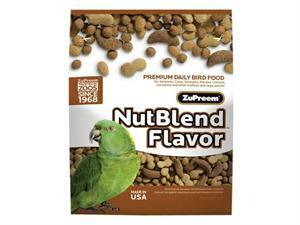 Should comprise 80% of your birds diet.